The image of the Japanese woman struggling in a male-dominated society has become so entrenched as to be almost a cliche. Afraid to take leadership initiative, the “well-behaved woman” stays one step behind a man, in a supporting role, according to the stereotype. And with relatively few exceptions in the business, government and nonprofit sectors, men indeed still appear to run Japan. So when a group of educated and highly motivated women unite under one roof for discussions on how to bring about positive social change and innovation on the front lines in Japan, it is no stretch to say they are breaking the mold. 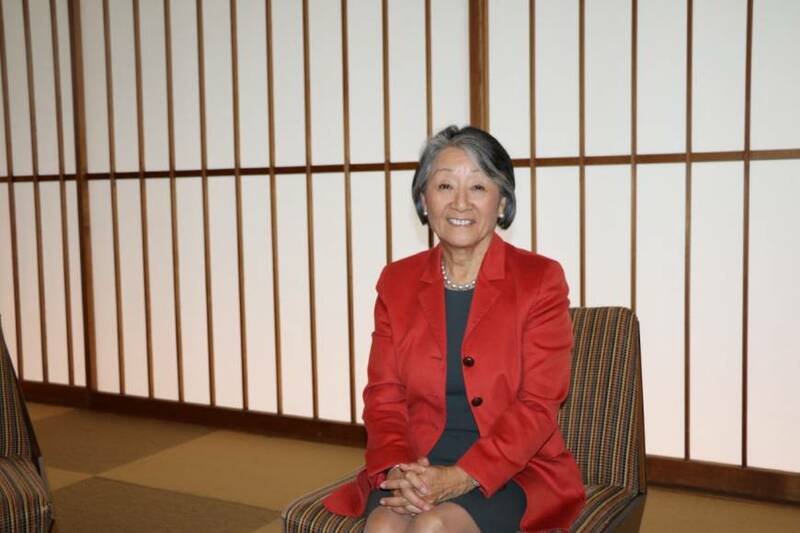 Philanthropist Atsuko Toko Fish, who founded the Japanese Women’s Leadership Initiative executive training program in Boston in 2006, leads that charge with a mission that encourages women from various professions to “be the change that you wish to see” in Japan. One of the aims is getting women to take the shame out of failure and doubling down to become pillars of their communities. “This program is not an academic program. It’s a practical training program for women of society,” Fish said in an interview ahead of the JWLI 2016 Tokyo Summit, celebrating the program’s 10th anniversary with over 20 leaders from Japan and the United States exploring the theme of women leading social change in Japan. Every year, four Japanese women are selected to participate in the four-week leadership development program in Boston to learn about nonprofit management and operations, working closely with successful U.S. organizations. “Interviews are conducted in English. So they have to come prepared; they get very nervous. In the past we received up to about 40 applicants and we choose four, so it’s actually a pretty competitive process,” said program manager Kozue Sawame, 36. After returning to Japan with their action plans, the women are expected to take leadership roles in their communities and give regular progress reports. They share their knowledge and experience from the program with other women and leaders, based on their visions for social change. “They take a one-week course on strategic leadership for women at Simmons College. In Japan, (women) have the bamboo ceiling, in America the glass ceiling. So they communicate and debate and it’s an interesting opportunity for them to become real global leaders. At the end of the course, they come back to Japan and execute what they want to do in Japanese society,” Fish, a Tokyo native, said. Fish, 73, who established the Fish Family Foundation in 1999 with her husband, Larry, former chairman and CEO of Citizens Financial Group Inc., said a key to successful entrepreneurship is building the confidence to become a leader who can collaborate in the business, government and nonprofit sectors. A strategic plan is needed to support your vision and passion, she said. 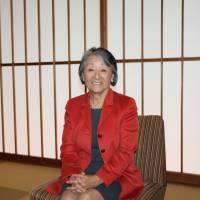 As an example, she related her own experience of how she came to serve as an adviser on Japanese tourism and trade to former Massachusetts Gov. Michael Dukakis after writing him a letter. Dukakis called her directly to ask for a proposal. “I had one child and I was pregnant and looking for a job. The governor gave me an opportunity. I had tried 20 different jobs but nobody (hired me) because I didn’t graduate from a U.S. college. He didn’t ask about my education, he only believed in my vision and my strategic plan,” she said. The JWLI 2016 Tokyo Summit, which had panel discussions on everything from investment in women and social change to women’s leadership following the March 2011 disaster, took place on Oct. 18. Former fellows in the JWLI program, such as Global Mama Gateway Inc. CEO and NPO founder Kiyono Yagami, talked about their successes and failures or held group workshops at the summit with over 300 people, mostly women, in attendance. Yagami founded the Momastart Club in 2009, a nonprofit organization that addresses postpartum issues, as well as a business providing workshops and support groups to working mothers to expand her nonprofit activities. “She became a real entrepreneur — business and nonprofit boss. And there are many other examples,” said Fish, who was a recipient of the Champions of Change award from the White House in 2013, among 15 women of Asian or Pacific Island heritage. Mari Kuraishi, a Harvard graduate and TED speaker who co-founded GlobalGiving, was the keynote speaker at the summit. She spoke about the blurred line between shame and embarrassment that she said holds Japanese women back due to fear of failure. A former World Bank executive who was named one of Foreign Policy’s “top 100 Global Thinkers,” Kuraishi’s nonprofit organization provides global crowdfunding for grass-roots charitable projects. According to its website, since 2002, more than 500,000 donors on GlobalGiving have raised more than $200 million to support about 14,000 projects in 164 countries. “In Japan shame and embarrassment are very close, and in fact it’s the same (Chinese) character. But I think there’s a qualitative difference between those two emotions. I don’t think that if you go into something with the right intentions and the right ideals that failure should be shameful in any way,” Kuraishi, 50, said in an interview following her speech. “In particular for women, it’s too easy to think to yourself, ‘Oh I won’t do that because it will be embarrassing.’ That turns very quickly into ‘It will bring shame on me, my family and everybody else.’ The truth is if you aren’t willing to fail you won’t be able to do anything new. One in 50 is the rate at which registered patents actually make any money. So that means 49 people have to fail for every one person who succeeds,” she said. Megumi Ishimoto, a 2014 fellow, founded the nonprofit Women’s Eye to support women in disaster-stricken areas in the aftermath of the March 2011 disaster. She raised over $100,0000 in four months after returning from the JWLI program to host an international academy in Tohoku to exchange ideas and network among women leaders in conjunction with the United Nations’ conference on disaster risk reduction. “Now she takes the academy to the United States to learn more about how to prepare for disasters. Compared with the United States there are not many foundations, but I think some young people in Japan are doing excellent jobs,” Fish said. With Prime Minister Shinzo Abe’s 2013 initiative toward women’s empowerment and gender equality for a “society in which all women shine,” Fish believes the stage has been set for a positive change in gender equality. “This is really the first time a prime minister of Japan is spotlighting women’s potential. It may work slowly but women ourselves in Japan have to take this opportunity,” Fish said. Yuko Nakaoka, 38, who was an operations manager at the American Chamber of Commerce in Japan but now works as a specialist at the U.S. Consulate General, Osaka-Kobe, in a program promoting foreign direct investment into the United States, was a 2015 fellow. “Through the JWLI program I visited successful NPOs in Boston and even though I was working at a business association, I learned a lot about how to manage organizations or how to manage people, how to make things happen. This can apply to any job in any stage of your career. I met so many impressive people and through this program I have many connections,” said Nakaoka.